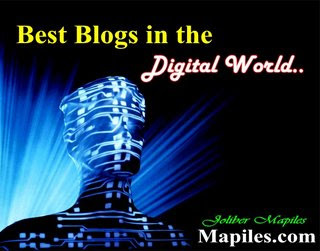 Thinking Out Loud: Best Blogs in the Digital World.. I got this Image of Love entitled "Best Blogs in the Digital World" from Joliber, my online friend. He made this and gave it to 11 bloggers and I'm proud to say that I'm one of them. Thanks Joliber! Will let you know as soon as it's up. Happy Valentine's Day! Hi Lorie, salamat sa award, cool na cool ah. Kumukimtab kintab pa, he-he.